Palm-size PCs were designed to compete with Palm OS devices that did not have a keyboard. They were smaller versions of the Handheld PC operating system. 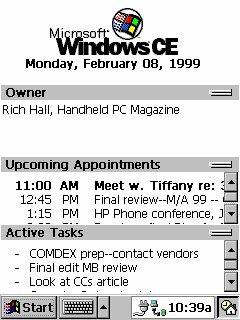 The Palm-size PC 1.0 devices all had black and white screens. With Palm-size PC 1.1 OEMs like Casio offered color screens. 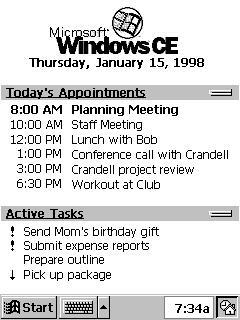 The Palm-size PC displayed the upcoming appointments and tasks. This was a precursor to the Pocket PC's Today screen.